We were over the moon to collaborate with Seven West Media and the Road Safety Commission on their recent campaign, Zero Excuses. The initiative is a great example of WA organisations coming together for the greater good of our community. 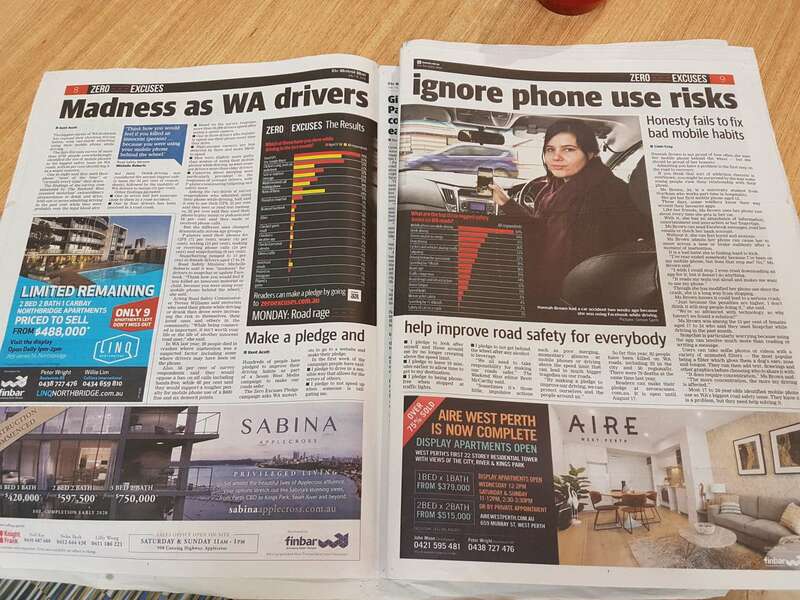 Here at Painted Dog, we worked to develop the first ever WA Drivers’ Voice survey, a large-scale study of drivers to get their views on a range of behaviours, including mobile phone use, road rage, drink driving and sharing our roads. The response rates were astounding with over 6,500 drivers getting on board to have their say. The results included some hard-hitting facts about road users across our state which were presented by Painted Dog to key stakeholders just one week after the survey came out of field. To ensure the findings of the study were put to ongoing use, our pack developed a user-friendly online dashboard that equips all stakeholders with the ability to drill into the data and access rich insight, driving the success of the campaign. The results of the study to date have been gripping the public via front page newspaper spreads and numerous other mediums which are set to continue over the course of the multi-platform campaign. You’ll see lots more about it in the paper and online over the coming weeks, including some pretty outrageous things that have happened on our roads. At Painted Dog we always want to make a positive difference in everything we do, and this is a great example of just that – highlighting some of the key issues faced by road users in WA and working alongside great local organisations to ensure a better, safer community for people.